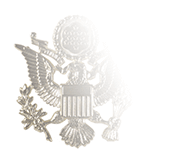 Our nonsubdued pin-on metal cap rank insignia for Army and Air Force four-star Generals are manufactured with an anodized, nickel-plated finish. Army Generals wear this insignia centered on the flash of berets, either the standard issue black beret or the specially colored organizational issue berets worn by personnel in Airborne (maroon), Ranger (tan), or Special Forces (green) units. 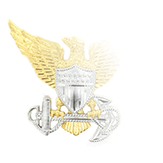 Army regulations allows Generals to choose from several sizes of stars for their cap rank insignia; use the drop-dwon selection box to the right to choose the desired size, keeping in mind that it is not necessary that all the stars fit within the flash. Before the Army introduced the black beret, this insignia was also worn on standard-issue Garrison Cap, one of the more memorable components of the Class A Army Green uniform first introduced in 1956. We offer General Officer Garrison Caps (also Enlisted, Officer, and Warrant Officer versions) and the General Officer Class A “Army Greens” as a way to help veterans seeking to ensure the uniforms they wear to reunions and other Army-related events meet the regulations that were in effect at the time they were serving our country. 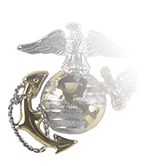 These items are also of interest to uniform collectors and afficionados, as well as TV and film production companies seeking authentic wardrobe items that are not only manufactured to meet all Mil-Spec standards but are also Berry-Amendment compliant. Check out the Army Greens on our Army Uniforms page and their Garrison Caps on the Army Hats page. 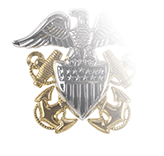 In the Air Force, the point-to-point four-star insignia is worn on the General Officer Flight Cap, with the first star positioned 1.5 inches from the cap’s front edge. 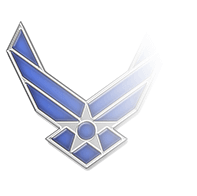 While the default size of the stars for an Air Force General's cap rank insignia is one inch, Generals unable to wear that size have the option of wearing the Medium (3/4") stars.